First of all, what is journalism? Here’s what Brendan O’Connor and Ashley Feinberg, members of the investigative team at Gizmodo, think. As Ashley explained, there are some serious problems with credibility in today’s worldwide media. This is because it can be accessed by many, which is both a good and bad thing. Now, aspiring journalist and advocates can have their voice, but this also means that absolutely anyone can contribute -or withhold- information. As can be observed in recent incidences, while many journalists have freedom of speech, it can be filtered and monitored by the government, which drastically undermines their ability to report faithfully and accurately in an unbiased manner. It also puts the writers and their sources at risk, especially when the text written could be provocative to the government. Not only does this occur in the United States, but even more so around the rest of the world. Syria is a good example of this environment, as it lacks the freedom of both speech and press, and other states under dictatorship such as North Korea demonstrate this to the extreme. According to Human Rights Watch, a non-governmental organization centered on human rights and advocacy, journalists and international reporters are willing to take the risks not only of being in the middle of a conflict but also of being physically assaulted and receiving direct threats of kidnap. The question is, why do they take the risk? Being a journalist faces many issues both safety-wise and pressure-wise. Many journalists around the world endanger their lives for the sake of their organization, and in extreme cases, some don’t make it. Pressure-wise, journalists withhold a lot of stress because they have to make sure their information is completely correct and so that their articles are unbiased. Journalists always have to make sure that they are unbiased and concise when typing up articles or interviews because any person from any belief system should be able to read the article and not feel persecuted or unfairly blamed. Today, we went behind-the-scenes into the office to get some of the journalists’ opinions. Marcello began the interview by asking Tom Scocca why he chose to pursue journalism. Tom then answered that it is “Because I like writing!” He also mentioned that there’s a special feeling that comes with it, almost like the adrenaline of knowing something that no one else knows. Marcello then asked if location affects journalism and how. Athéna also asked what he did and did not appreciate about journalism. Raju Narisetti is the CEO of Gizmodo Media Group, he has worked previously as a journalist at the Wall Street Journal. Raju mentioned that it was as if “journalism is in my DNA” because his father was working in journalism and his mother was an English teacher. First, Marcello asked what journalism is all about. Raju Narisetti then answered that journalism is about reflecting the honest truth to the readers. 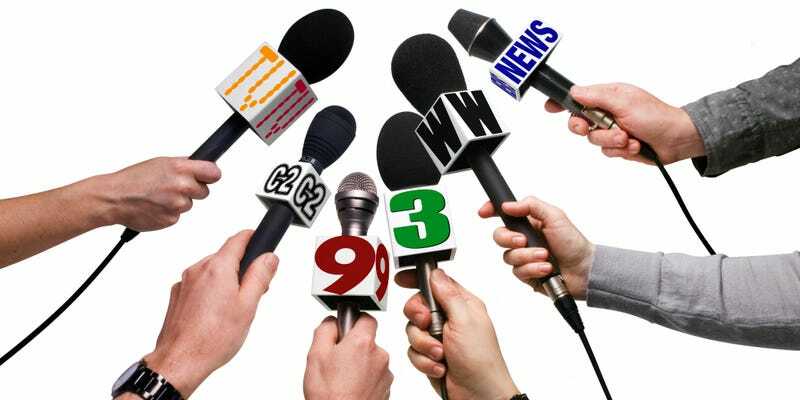 What is your favorite aspect of journalism? Marcello asked. Raju answered that he loved telling stories to people all around the world. He also mentioned that he loves the fact that journalism “reaches a lot of young people”.